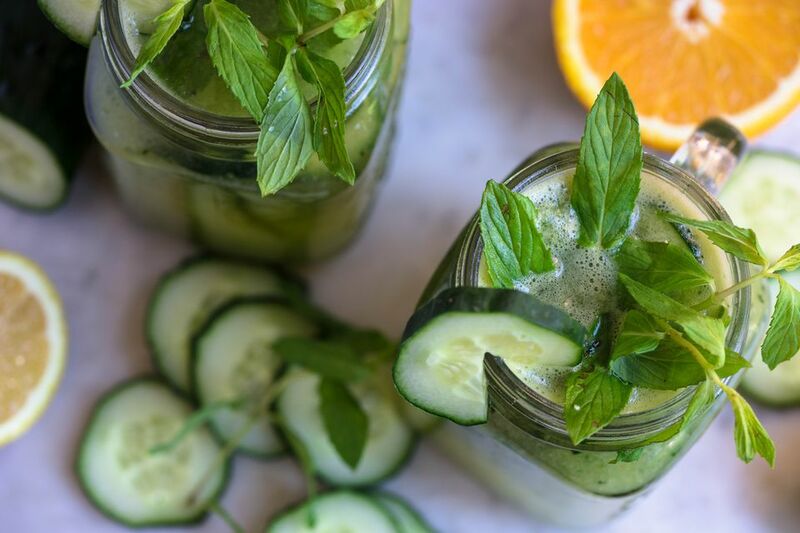 Cool as could be, this drink from Remedy Teas highlights the flavor of Japanese green tea with the double cooling action of peppermint and cucumber. This fresh-tasting, super-hydrating combo puts the chill on from the inside out. They recommend Japanese green tea as a base for its fresh, clean, green taste that pairs perfectly with cool cucumber and mint. Combine all ingredients except ice and sliced cucumber in a large pitcher or bowl. Cover the pitcher or bowl and chill the mixture for several hours. When the mixture is well chilled, strain the mint and cucumber if you like. Add ice to each glass and garnish rim with sliced cucumbers (and mint if desired). Cucumber also looks nice in the glass not just on the rim. To brew Japanese Green Tea, use 1 tsp tea leaves per 1 cup 160 degrees Fahrenheit water. Brew for 1 to 3 minutes and strain the tea leaves. Japanese green teas tend to be fresh and oceanic. China green teas tend to be smokier and nuttier. Look for a tea that is more fresh and green and less smoky and nutty. To make Simple Syrup, Boil 1:1 ratio of sugar to water and boil to dissolve on the stove, then chill. Or use agave, honey or ​alternative sweetener. Keep it light. If in the mood for spirits, Sake and vodka pair well with this green tea treat. Add a couple cups (to taste, desired level) of cold sake or vodka to create an adult version of this drink. For extra wow-factor, garnish with a rosemary twig for aromatics and visual appeal.